Most of the 2018 fall was very slow. The showings and buyers did pick up in the middle of December. There was still few things listed and still fewer buyers that we were use to seeing. I talked to 4 new buyers in the last two weeks and several sellers. I am thinking things will pick up. There are several new condo associations opening in 2019 ant they will be expensive. There is more demand for two bedroom and two bath units with parking. The sales started to pick up in the middle of June with more sales in July than in months of 2018. Not a lot more listings. Prices are steady and there were some good buys if the sellers needed to sell. They would list them right on the proper sales price. More peole now looking and prices will remain steady. Buyers do like to buy units with parking spots. 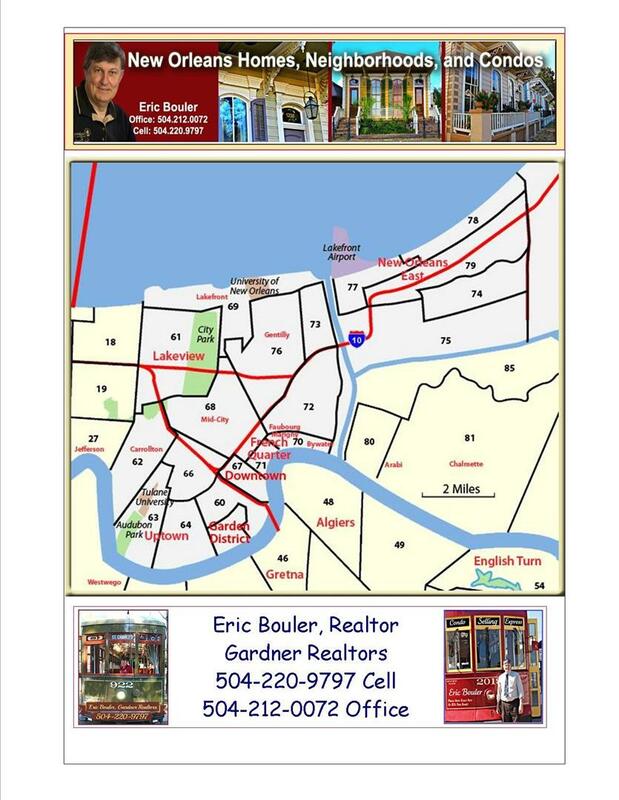 The areas in Lower Garden District and Garden District have been selling even faster as buyers like the neighborhoods on St. Charles and Between Magazine and St. Charles. I expect the Warehouse Condo Market to move ahead in August and September. Warehouse District Real Estate Trends, Lots of Condo Buyers are looking for 2 bedroom units now. I have two past clients that have one bedroom units and want to move to a two bedroom unit. I have 5 Warehouse District Listings now in May and get 7 times more people looking at my two bedroom units. The prices are higher but the demand has gone up for the buyers searching for two bedroom units. I have never seen this happen. Condo Business is picking up! This is normal for Spring time. There are not a lot of new listings for sale. Fewer Buyers and Sellers in the market than several years ago. 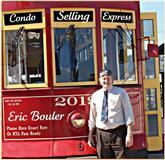 I have now several clients that are looking to move to a two bedroom that bought one bedroom units from me several years ago. This is a new desire....We are getting far more showings on the 2 bedroom units than we are on the one bedroom units. This is common in the Warehouse District of New Orleans. Sales are beginning to pick up this month. Two of my listings have sold this month. The seasonal pickup in the market is around the corner. You see a lot of sellers now pricing their condos right at their value. We will begin to see more buyers in the Spring Season. Many buyers will be looking in a larger selection of areas. There still be be fewer listing and fewer buyers. I have had 3 new listings this month. Always worth letting your seller and you the agent know what the competition is. 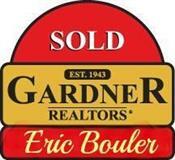 We are seeing more sales in all the areas and fewer listings coming on the market. Always expect more listings and buyers next year. The last six months have been slow but getting the feel that things are picking up. 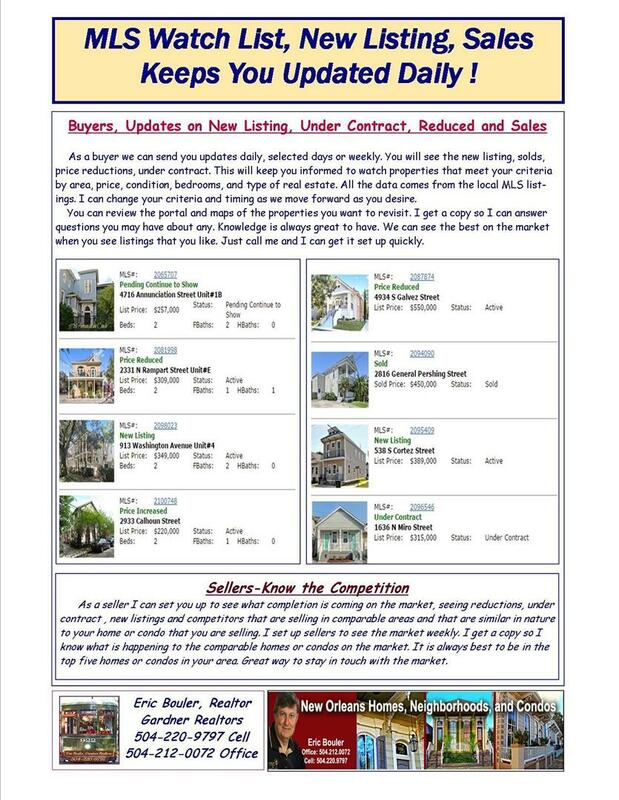 I have more clients looking and I am showing my listings much more in the last 2 weeks. Many of the prices are right on the value. You will always have some sellers asking too much. Having a watch list to see all the new listings, sales, reductions, and continue to show helps one really keep up with the trends in all neighborhoods. The interest rates are all still low so this will help sales coming into the Spring. We are seeing a pick up in business with more sales ecah week that we have seen in months. The condos that I have in my mind as the best listings are the ones that have sold or gone under contract. There are still some very good units for sale right now on the market. Still not a lot of buyers or sellers. Think the business will remind positive in December as more people come to town. We are seeing a leveling off in prices but still have fewer buyers looking than we did last year. We have less units for sale at the same time. We are also seeing sellers go right at the numbers as they need to sell. There are several great prices and units where the sellers have reduced or put on the market right at the correct value prices. There are also a lot of new construction in the works. Almost all are in the 500 k plus prices. We are beginning to see adjacent areas to the Warehouse District and French Quarter begin to pick up as you get more for your money in these areas. Most Buyers now know these areas unlike years ago. It is always great as a buyer to check out all areas near where you want to be so you can get more for your money. We are also seeing buyers like smaller condo associations in neighborhoods with historic feel. 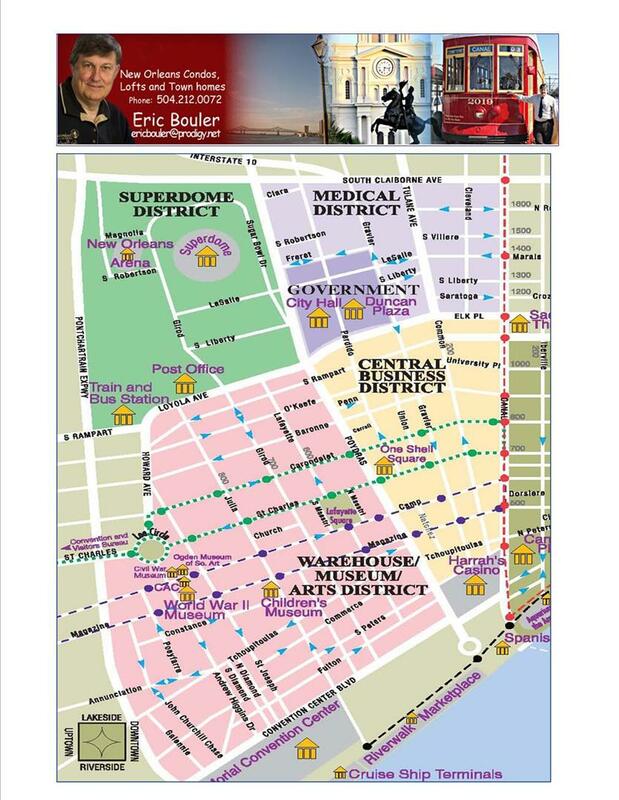 This is the Lower Garden District, Garden District, Uptown, Marigny, Bywater and the Lakefront. The Lakefront has been on an upward trend lately as things are more affordable in that area. I expect business to pick up once school starts and Summer ends. Having people come to football games and conventions brings more buyers to town. I expect sellers to drop their prices to be more competitive. No sense being overpriced in a slower market. One of the most interesting things in the New Orleans Condo market is the number of new complexes under construction and those that have been just completed. There are more for sale in new consturction than I have ever seen in the market. There are more on the drawing board and planning stages. The new places are in many areas of town. The one negative is see is that most are high end units costing more than 400K and a few less. The lesser ones will go quicker as there are just more buyers for those units. The Summer months have been slower than past Summers. There are fewer buyers out in the market looking in the various price ranges. Still not a lot of resales on the market. Some sellers have decided to rent their units so they have come off the market. There are some sellers that are still too pricey and have not adjusted their prices so they can get sales and looks. We are beginning to see units priced right on the money and are real bargains since the sellers need to sell. Many of these units have had a lot of recent updates. The agent may not be letting people know how much the owner has done. They are lower prices for better units. I have have shown several of these this past month. Knowing the price reductions and time on the market can help the buyer get a good deal. As an agent we can review the history and let the buyer know so we can get a better deal. The prices on HO6 policies have gone down since last year and condo fees have been steady in most cases. The New Orleans Condo market did see a gradual pick up in sales. Prices are tending to move down across the board. What is really unusual is that there are much fewer listing for sale and fewer buyers looking to buy right now. We are seeing a lot of reductions in prices. Many sellers were just asking too much so they have had to reduce the prices. The rental market was also soft. That is primarily due to the large number of rentals units that were built in the Warehouse District that have come on the market in the last two years. One thing that I noticed is less medical students, law students, residents looking in the Warehouse District. It has a lot to do with the prices. You can find a like unit Uptown, Garden District, Lower Garden District for about 100k in price. Many buyers are now aware that other neighborhoods have some good buys. I sold a condo at 3201 St. Charles 2/2 with parking for 246k. Many people are buying here because of the price and ease to get to school. The parents bought it for their child and will keep it as a second home when she graduates. I saw this same trend last year. I kept the parents upated for about a year so they were aware of the choices in many neighborhoods.